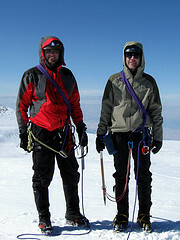 Mitch Barrie and Fritz, Mt Rainer, 14,411 ft.
Steve T. Nguyen of Huntington Beach, CA climbing Chamonix to Zermatt, the Haute Route between France and Switzerland. 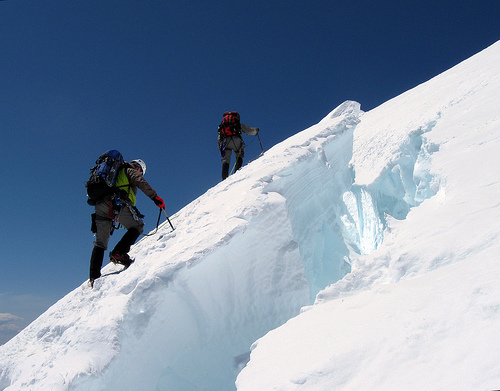 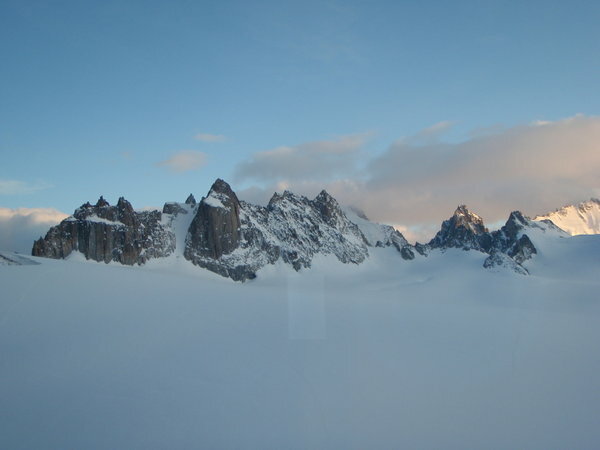 The High Level Route is accomplished on foot or by ski touring between Chamonix, France and Zermatt in Switzerland. 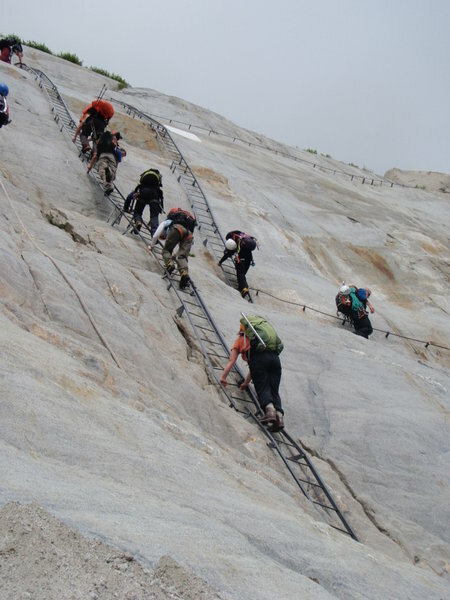 It was started as a summer mountaineering route by members of the Alpine Club (UK) in the mid 19th century – 1861. 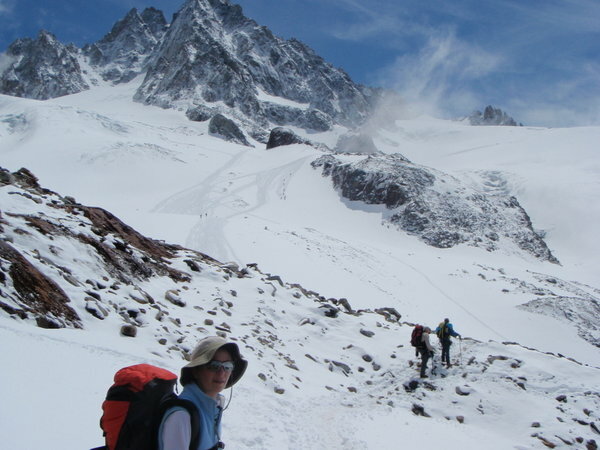 The route takes approximately 12+ days to walk, stretching the 180 km from the Chamonix valley of Mont Blanc to Zermatt the home of the Matterhorn.